The World Boxing Organization (WBO) announced the officials for this Saturday, June 30, clash between WBO Super Middleweight Champion Gilberto ‘Zurdo’ Ramírez, from Mexico, and WBO Latino Champion and eighth ranked at 168 pounds Roamer Alexis Angulo, from Colombia. The bout will take place at the Chesapeake Energy Arena in Oklahoma City, as part of a boxing evening presented by Top Rank. Gary Ritter of Oklahoma, will be the referee of the fight. Ritter, who has worked as a referee in professional boxing for 17 years, has been the third man in the ring for world title fights in Japan, Mexico and the United States. Javier Álvarez, of Texas, David Sutherland, of Oklahoma and Levi Martínez, of New Mexico, were appointed judges for the bout. The WBO supervisor will be Richard De Cuir, of Sacramento, California. For Ramírez (37-0, 25 KOs), this will be his fourth defense of the title he won at the MGM Grand Garden Arena in Las Vegas on April 9, 2016. That night, he defeated German Arthur Abraham via unanimous decision. Angulo (23-0, 20 KOs) became WBO Latino champion in Mexico with a second round TKO over local favorite Ronald Mansilla. The Colombian returned to Mexico for his second title defense in February, and knocked out Evert Bravo in the first round. Ramírez-Angulo will be televised live on BoxNation, ESPN and ESPN Deportes at 9 p.m. ET. 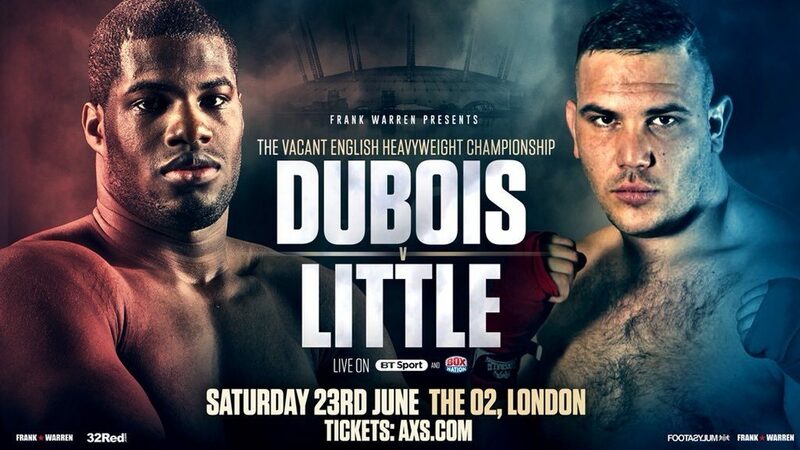 TOM LITTLE FIRMLY believes he has landed the Golden Ticket with his shot at the English heavyweight title against rising star Daniel Dubois at the 02 Arena on June 23. After an unsuccessful tilt at claiming the Southern Area belt in 2016, Little placed himself back in the frame for title contention with a hat-trick of victories on the domestic circuit before accepting a tall order against the Croatian Olympian Filip Hrgovic in January, where he came up short after four pulsating rounds. His focus is now back on the home front and he is convinced that he is the man to diffuse the threat of Dynamite Dubois. “It feels like I’ve got the chance I have been crying out for,” stated the 30-year-old Hatfield heavy. “This is my shot, this is my now or never. Little knows full well that, after calling out pretty much every heavyweight in the country over the last couple of years, he now has to back up his words and prove to the doubters that he is not all talk. “Listen, one hundred per cent, I am in for a world of torment if this goes wrong, but I know it ain’t gonna go wrong. 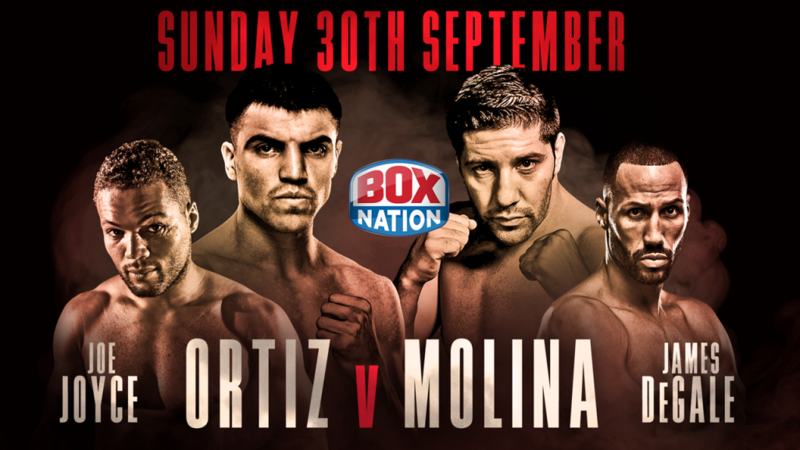 Daniel Dubois v Tom Little features on a bumper card at the 02 Arena topped by Robert Garcia’s defence of his WBC Silver super middleweight title against Martin Murray, live on BT Sport and BoxNation. 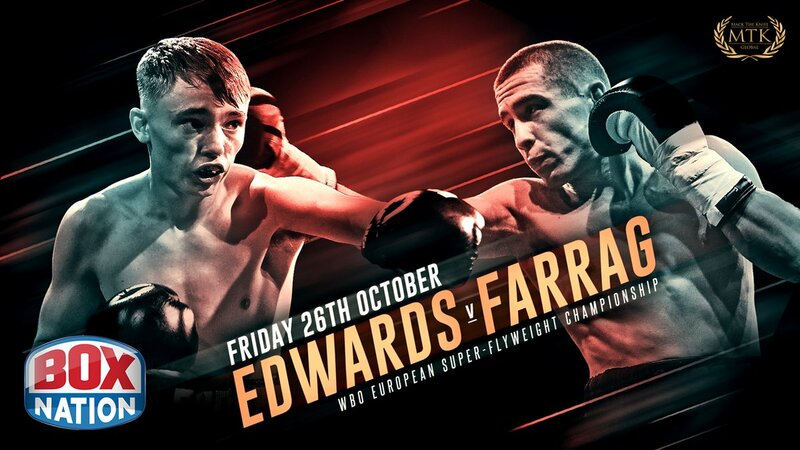 Also in action is Anthony Yarde returning to title action against Dariusz Sek for the WBO Intercontinental light heavyweight title, along with Ohara Davies, Darryl Williams, Johnny Garton, Raza Hamza, Archie Sharp, Umar Sadiq and Harvey Horn.